An intentional, well-written networking email can lead to a new job opportunity, a new mentor or a new perspective. 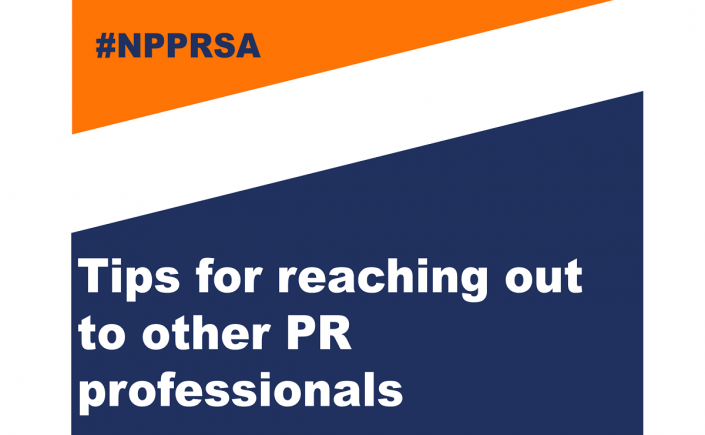 You will find that most professionals, especially those involved in PRSA, are more than happy to help you, offer advice and share their expertise. 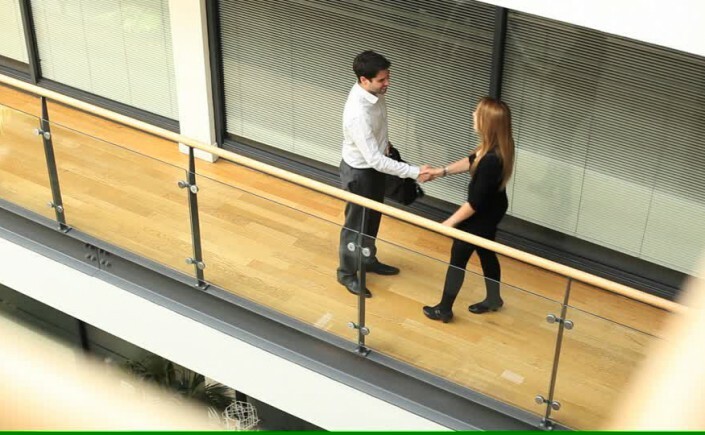 But even if you have a strong relationship with the professional you are reaching out to, it is always important to establish professionalism.Whether you are a graduating senior seeking job opportunities or a young professional simply looking to make new connections, here are a few tips you should always keep in mind. It’s important to remember the person you are reaching out to has a full-time job, and is graciously taking time out of their schedule to help you. Be considerate of how much you are asking from this professional and understand it may take time for them to respond. I recently got an email from someone “hoping to move to NYC” wanting to know “which companies they should apply to.” Seems harmless, right? Wrong. There are thousands of companies in New York City, and this young pro was essentially asking me to do their job search for them. You should make it as simple as possible for them to reply, which leads me to my next point. About a month ago, I received a text from a recent grad from my university, who asked if I could tell them more about my last job. It was typical PR agency, so what exactly did they want to know? About the culture? The clients? Once I followed up and asked for more information, I discovered they wanted to learn more about the differences of working at a large agency versus a small agency, as I’ve done both. Before you reach out to a professional, triple check the body of your email and any documents you’ve attached. Then, ask a few friends to review everything. Don’t send a resume with grammar errors, formatting mistakes or a lack of specifics to a professional. It comes across as lazy and unprofessional. Too often I receive emails with a low quality resume attached and the request to pass it along to one of my contacts. I’m always shocked when this happens because I’d never recommend someone I don’t truly believe in. Hope this helps you as you prepare to reach out to a pro you admire! One scary moment is almost always worth the trade-off. Here are three tips to get you through that one scary moment and become an expert networker. The good thing about attending PRSA networking events is that you automatically have at least one thing in common with everyone else there: you work in PR (or aspire to work in PR). So bring up industry news that your regular social circle doesn’t get nearly as excited about, like Snapchat’s new glasses or the latest brand in crisis. In addition to industry news, it’s helpful to be up on the latest global and national happenings, always, but especially before a networking event. My go-to resource is theSkimm, which presents the news in a quick, easily digestible format. It’s ripe with conversation starters. Do you have any side hustles or passion projects? What was the highlight of your week/weekend? These are guaranteed to spark conversations that won’t fizzle out after the first minute. If you’re new to an organization or city, the fastest way to make connections is to raise your hand and volunteer. For example, in PRSA you can join a number of committees, from new professionals to membership to communications. Choose a volunteer opportunity based on your strengths, whether that’s planning events, running the check-in table, or helping with promotion on social media. When you get involved, it allows you to build deeper relationships with members. Plus, you’ll know a few friendly faces when you go to the next event. What are your tips for becoming an expert networker? Caitlin Rebecca Ryan is a PR writer for Eric Mower + Associates in Charlotte, NC, with a passion for live music, snail mail, and novels. Connect with her on Twitter, Instagram, and her blog. Networking- it’s a very intimidating word, especially for those who cringe at the idea of meeting complete strangers at a happy hour or local event. Though it may come off as intimidating, the truth is that mastering the art of networking is a crucial step to land your first job. The expression “it’s who you know” isn’t a myth and it certainly isn’t an expression that should be underestimated. As someone who began their first post-graduation job in August, I can vouch for the importance of networking. I can also provide some tips on how networking and landing your first job go hand-in-hand. When looking for a first job, it can be tempting to start the search with platforms like LinkedIn, and while you may find some great positions listed, it’s not where I would begin. Very often when looking for your first job, it’s the people already in your circle that’ll help find the position you want, and ultimately, get you that position. 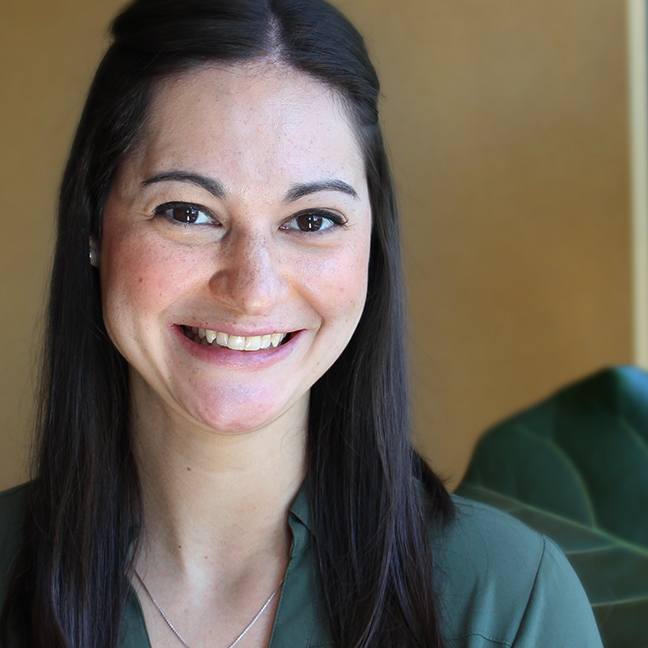 Whether it’s a professor, classmate, or family friend, chances are that you have a connection in the field that you are applying. Once you establish that connection, don’t be afraid to reach out. It may be an unspoken truth, but people in the communications field (and in general) like to talk about themselves and their professional experiences. If you reach out with a positive attitude and genuine curiosity about the work they do, you’re golden. Grounding yourself in the professional world requires you to get out there- literally. 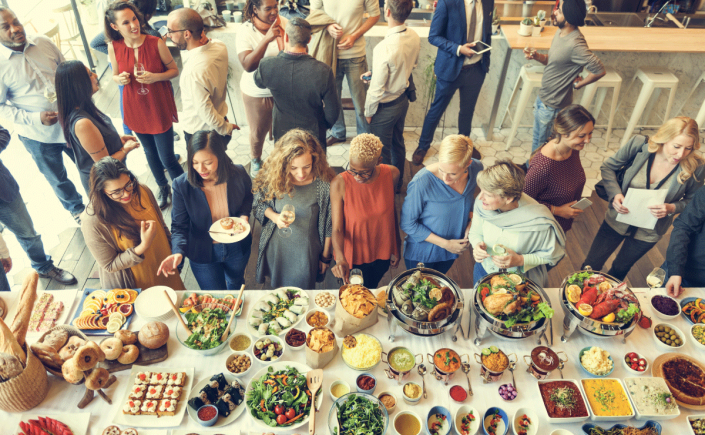 If you have colleagues or friends going to a networking happy hour or sporting event, make sure to get that plus-one invite. Being open to meeting new people and stepping out of your comfort zone is the first step in securing that first job. Even more important, it gives you the opportunity to be asked the first impression question: Who are you? This is where your perfected 30 second elevator pitch comes in handy. No matter who is asking, consider them a possible professional connection and sell yourself. Make sure your presentation doesn’t sound staged or rehearsed, as people respond better to conversation that sounds genuine and honest. While these two pieces of advice aren’t the only ones to consider when looking for your first job, they encompass the big ideas. Everyone has been in your shoes before: colleagues, your boss- and everyone gets how difficult it is to assimilate into the real world. The most important thing to remember is that the people around you are the ones that matter. They are in your circle and consider themselves a connection for a reason- use that. Taking advantage of networking opportunities will pay off in getting you that first job and it will pay off in the career path you choose. Understanding how to talk to people, especially those who you want something from, is an invaluable skill. So next time you are stepping into a networking event, try to let go on the intimidation and nervousness, and remember that it’s just one piece in the puzzle to help you get your first job. Evan Martinez is a Communications Associate at American Iron and Steel Institute, a DC- based trade association representing the North American steel industry on Capitol Hill. Each year, PRSA New Professionals Week (Aug. 1-7, 2016) encourages new public relations professionals to share resources and advice with fellow new professionals across the country as we celebrate current members and encourage new members to join. During this week, we encourage local Chapters to host events focused on providing networking and career development for professionals new to the industry. Here are a few ways PRSA Chapters, new professionals and employers can get involved with New Professionals Week. Once you set a date, be sure to register your event here. 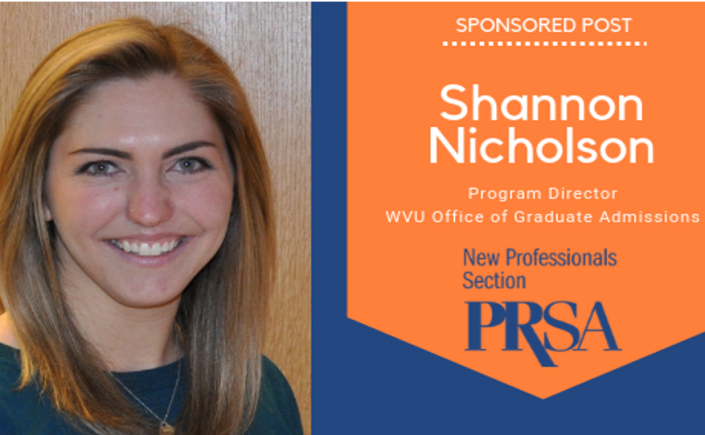 New Professionals Week is the perfect opportunity to plan a membership campaign targeted at young professionals. Use this week to target your communications to new professionals who are not members. During PRSA New Professionals Week, we will provide national programming such as a Twitter chat, webinar and blog series. Stay tuned for more details, and continue to monitor our website for upcoming dates. 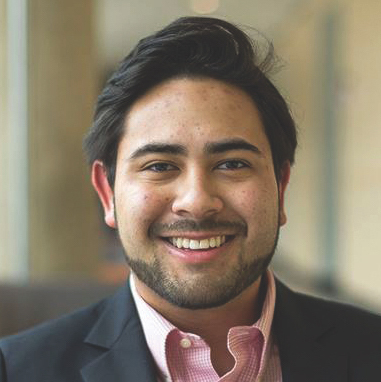 If your Chapter isn’t already planning a New Professionals Week event, volunteer to organize one. Once you set a date, be sure to register your event here. 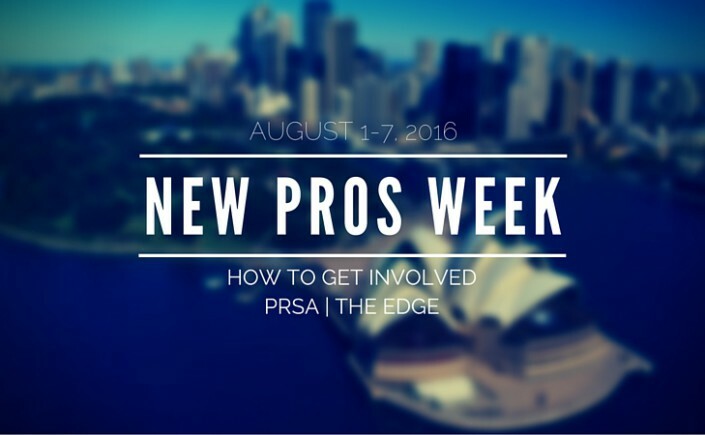 PRSA New Professionals Week 2016 will be here before we know it. How are you planning to celebrate? 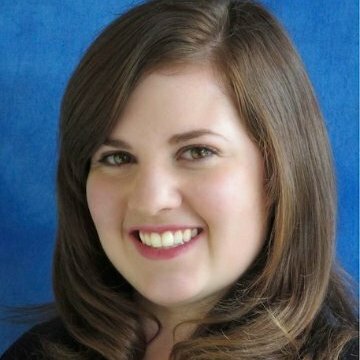 Heather Harder is the PRSA New Professionals co-programming chair and an account executive at Capstrat in Raleigh, North Carolina. Contact her with questions about getting involved with New Pros Week.